One-month-old Stephan Frisby died this date, July 24th, in 1850 and was buried at Bethel Burying Ground. One-month-old Stephan Frisby died this date, July 24th, in 1850 of convulsions and was buried at Bethel Burying Ground. He was the only child of Jeremiah and Ann Frisby, according to the 1850 Federal Census. Mr. Frisby, born in Delaware, was 50 years old at the time of his son’s death. Ms. Frisby was 33 years old and was born in Pennsylvania. Two other women lived at the Frisby home. Caroline D. Garnet, 23-years-old, born in Pennsylvania, and Rachel Harris, 54-years-old and born in Maryland. The Census did not provide any more information on these women. Mr. Frisby was employed as a “carter” or one who transported goods by cart or wagon. Ms. Frisby was employed as a laundress, along with one other woman in the household, according to the 1847 Philadelphia African American Census. The Frisby family lived in one room at 35 Currant Alley, a very narrow thoroughfare that ran from Walnut Street to Chestnut Street and was between 10th and 11th Streets. Historian Roger Lane considered it “one of the worst [streets] in Philadelphia.” Poverty, rat-infested housing, crime, and disease were major problems. Ninety-six Black families with a staggering total of three hundred twenty-one family members lived in the densely packed alley, according to the 1847 Census. The Census also showed that the Currant Alley adults, despite all the obstacles, were solidly working class, having a wide range of laboring and domestic jobs to which African American men and women were restricted. One-month-old Stephan was buried on a July day beset by “excessive heat.” Ann Frisby would live only to 50-years-old when she died of a stroke on May 18, 1861. At the time of her death, she was an inmate of the Blockley Alms (Poor) House where she was buried. And dwell in endless bliss. I was unable to identify the individuals who had been Mr. Frisby’s child or children. Ann Frisby may have been his second wife and his other children may have been from a first marriage. 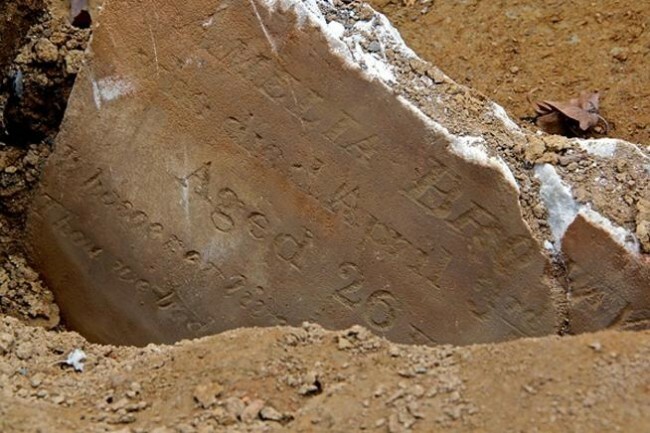 ← Seventeen-month-old John W. Harrard died this date, July 20th, in 1848 and was buried at Bethel Burying Ground.